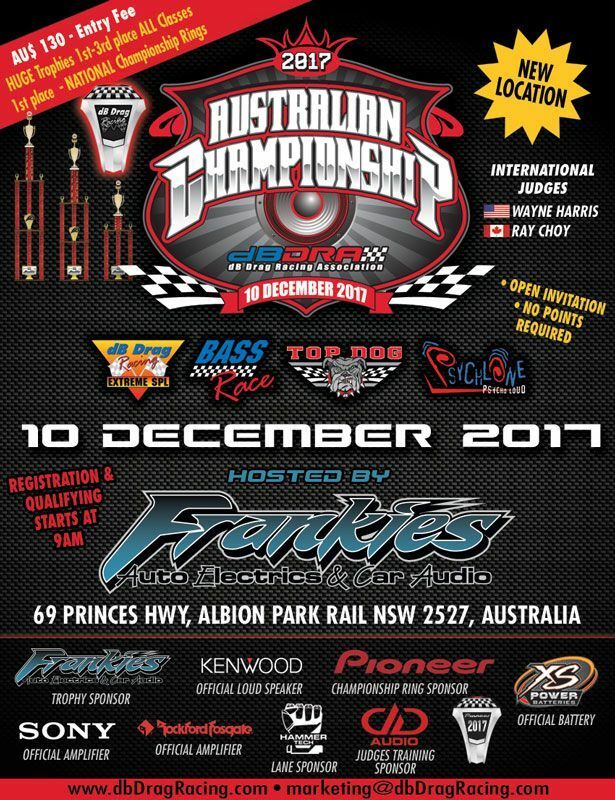 Event Details: The dB Drag Racing Association is pleased to announce the 2017 Australian Championship on December 10, 2017 hosted by Frankies Auto Electrics & Car Audio. Pre-Registration for the Australian finals is OPEN and all competitors are encouraged to REGISTER on-line. The late registration fee will be waived, please register ASAP. For more information, please email: marketing@dbDragRacing.com or contact your local dBDRA Rep in Australia.